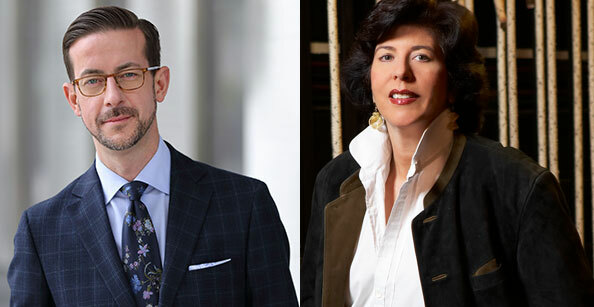 Christopher Koelsch, president and CEO of Los Angeles Opera (above, left) will talk to Francesca Zambello, director of Daniel Catan’s opera, Florencia en el Amazonas, tomorrow (Nov 12) from 9:30 a.m. to 10:30 a.m. as the company’s second “Livestream” conversation. The conversation, which will take place onstage at the Dorothy Chandler Pavilion, will be streamed live via www.laopera.org and www.facebook.com/LAOpera. AROUND TOWN/MUSIC: A new direction for opera? Renée Fleming stars as Blanche DuBois in André Previn’s “A Streetcar Named Desire,” being presented May 18, 21 and 24 at the Dorothy Chandler Pavilion. Photo by Todd Rosenburg, Lyric Opera, Chicago. May 18 at 5 p.m.; May 21 and 24 at 7:30 p.m.
May 23 and 29 at 7:30 p.m.; May 25 and 31 at 2 p.m. Although unintended, it’s ironic that as San Diego Opera continues to struggle with the question of how or even whether it should move forward, Los Angeles during the next couple of weeks offers two notable examples of what the future might look like not only for San Diego but for other opera companies, as well. On May 18, 21 and 24 at the Dorothy Chandler Pavilion Los Angeles Opera presents an innovative staging of André Previn’s opera A Streetcar Named Desire with superstar soprano Renée Fleming in the role of Blanche DuBois. Then on May 23, 25, 29 and 31 the Los Angeles Philharmonic will conclude its three-year cycle of Mozart/Da Ponte operas when Gustavo Dudamel conducts Così fan tutte at Walt Disney Concert Hall. On March 19 San Diego Opera’s board of directors voted to close the company following the completion of this, its 49th season, due to dwindling financial support. Since then plans are moving forward cautiously to (a) find a way to finance a 50th anniversary season and (b) discover a new future direction. Fundraising will be a key to both decisions. For the past year San Diego Opera’s budget was reportedly about $15 million annually and it presented four operas. If San Diego Opera closes, it will follow in the footsteps of Opera Pacific in Orange County and New York City Opera, each of which shuttered its doors. If SD Opera continues, it will undoubtedly be as a different, probably smaller, company. What’s important, say Koelsch and other arts organization leaders, is that companies must be in constant dialogue with their communities as organizations determine what programming can and should be presented. A key word that Koelsch uses frequently is “diversity,” a word that relates both to audiences and programming. Earlier this spring, LAO presented another in its family opera programs, the world premiere of Jonah and the Whale at the Cathedral of Our Lady of the Angels diagonally across the Temple St. and Grand Ave. corner from the Music Center. Thousands of people attended the free performances; many had never seen an opera before. 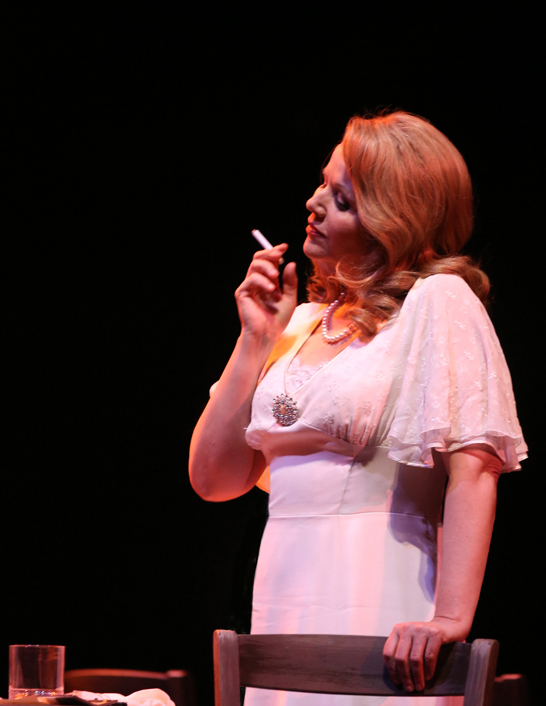 A Streetcar Named Desire is another example of reaching out to different audiences. The original work was a play written in 1947 by Tennessee Williams, for whom it won the Pulitzer Prize in 1948. Three years later, Elia Kazan’s searing film adaptation won Academy Awards for Vivian Leigh (best actress), Karl Malden (best supporting actor) and Kim Hunter (best supporting actress). Marlon Brando, who played Stanley Kowalski, lost out to Humphrey Bogart (The African Queen) for the Best Actor Oscar. Previn — who, although he has composed extensively, is better known for his work in motion pictures and as an orchestra conductor — used a libretto by Philip Littell to adapt the play into an opera; it was premiered in San Francisco in 1998. However, rather than using the elaborate original production, LAO is using Brad Dalton’s intriguing staging that puts the costumed cast at the front of the stage, with the orchestra on stage behind the action. The production has played to strong reviews at Carnegie Hall in New York City and Lyric Opera Chicago. Koelsch cautions that creating a show with a “much smaller footprint” from a larger version may not always be feasible, but it’s one way for companies such as LAO to bring contemporary operas into the company’s increasingly large repertoire. Of course it helps that Fleming is portraying the one of the starring roles in Streetcar. “I’ve been eager to bring Renée to Los Angeles as Blanche DuBois for more than a decade,” says LAO’s General Director Plácido Domingo, Fleming’s only rival for operatic superstar status. Ironically, Domingo is appearing onstage in Jules Massenet’s Thais, which is running in tandem with Streetcar. The opportunity to present Streetcar came together at the last minute, as least in opera company terms. It didn’t materialize until LAO had already announced its current season last year. The L.A. Phil’s Così follows in the footsteps of Don Giovanni and The Marriage of Figaro to be presented on stage at Disney Hall during the past two years. In each case, the director and stage designer had to find innovative ways to cope with the fact that Disney Hall was built for orchestra and choral groups, not operas. That means there is no proscenium or ways to hang scenic backdrops. Overall, the two Mozart productions successfully managed that challenge. Well-known opera director Christopher Alden will lead the Cosí fan tutte production, which has been created by architect Zaha Hadid, winner of the Pritzker Architecture Prize in 2004 (the previous productions were also designed by architects; Frank Gehry handled Don Giovanni, while Jean Nouvel did the “installations” for The Marriage of Figaro). Hussein Chalayan has designed the Cosí costumes. As is the case with LAO, the Phil is using this unique combination of talents to reach out to new audiences, as well as to traditional opera and symphony fans. Next season LAO continues its broadening trend in two radically different ways. For its production of Hercules vs. Vampires in the Dorothy Chandler Pavilion, the company will synchronize live music with the 1961 cult fantasy film. When actors on the screen open their mouths to speak, the audience will instead hear their lines sung by members of the Domingo-Colburn-Stein Young Artist Program, accompanied by a 26-piece orchestra. The company’s final offering of the 2014-2015 season will be David T. Little’s Dog Days, which will be presented at Disney Hall’s The Roy and Edna Disney/CalArts Theater (REDCAT), which seats less than 300 people. This is definitely not your grandfather’s opera company.